Social neuroscience is a rapidly growing field which explains, using neural mechanisms, our ability to recognize, understand, and interact with others. Concepts such as trust, revenge, empathy, prejudice, and love are now being explored and unravelled by neuroscientists. 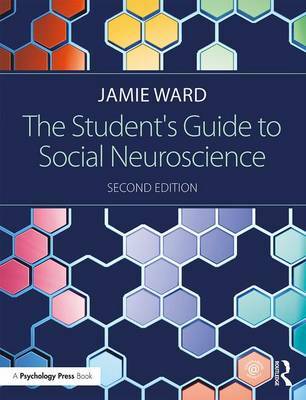 This engaging and cutting-edge text provides an accessible introduction to the complex methods and concepts of social neuroscience, with examples from contemporary research and a blend of different pedagogical features helping students to engage with the material, including essay questions, summary and key points, and further reading suggestions. The second edition of this ground-breaking text has been thoroughly revised and expanded to reflect the growing volume of evidence and theories in the field.Ã£Â€Â€Notable additions include a greater emphasis on genetics and hormones, and the expansion of topics such as cultural neuroscience, emotion regulation, biological markers of autism, power and status, social categorization, and new accounts of mirror neuron functioning. The book is supported by a fully updated companion website, featuring student resources including lecture recordings, multiple choice questions and useful web links, as well as PowerPoint slides for lecturers. Richly illustrated in attractive full-color, with figures, boxes, and Ã¢Â€Â˜real-worldÃ¢Â€Â™ implications of research, this text is the ideal introduction to the field for both undergraduate and postgraduate students in fields such as psychology and neuroscience.